We’ve had wonderful responses from everyone since January. It has been amazing to get insightful feedback from passionate presenters. We are very thankful for the help and we hope to deliver on better and better features each time. We want to go through several features we’ve added in recent weeks. Sometimes, showing examples is all you need to learn how to present. If you’re an admin in Get Sandwich, you can group similar talks for other members of the team so that it’ll be easier for them to know what to watch. When you play a talk from the playlist, it will auto-play the next talk in the list. Get some popcorn, you won’t need to lift a finger to watch great talks from your peers. 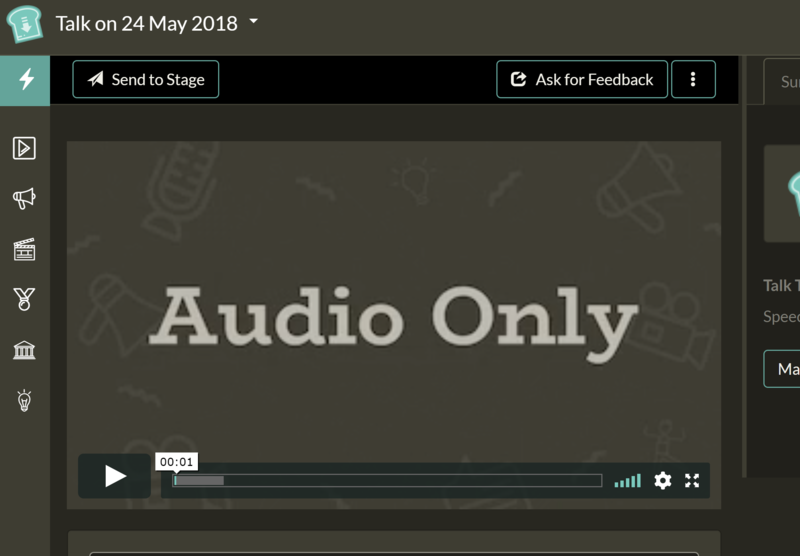 You can upload audio files in .ogg format and it will be processed just like a video. This will help those times when you are practising your presentation for the first few times. Listening to your own voice will aid your memory and help you detect improvement points before you ask others for feedback. Other audio formats are in the works and will be incorporated soon. Your files will always be yours, so we make it easy for you to download it. Other’s can’t download your talk unless they are admins of the team. 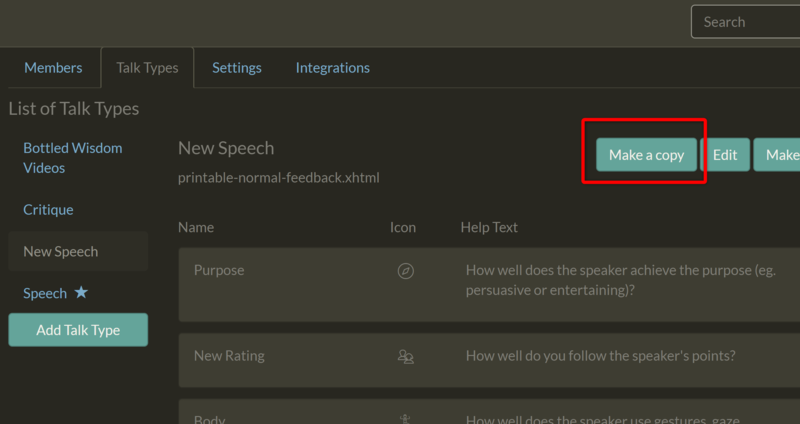 We’re making it easy for you to administer the type of talks within your team. Instead of creating a Talk Type from scratch, you can make a copy of an existing type. Afterwards, you can access the ratings in the new type and make changes as you please. Check out how they work in the video below. We have lots more features in the work to make it easier for you to practice your presentation in whatever environment you’re in. If you have requests for features or just want to chat with us, drop us an email at team AT getsandwi.ch. We’re all ears! We show you how to upload videos of your talk to Get Sandwich from your mobile.